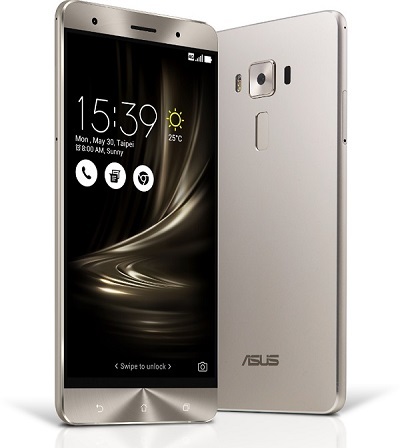 Computex 2016: ASUS launches ZenFone 3, ZenFone 3 Deluxe and ZenFone 3 Ultra smartphones. ASUS today during the Zenvolution press event at Computex 2016 launched three new mobile products. The new line-up includes the all-new ZenFone 3 family, featuring ZenFone 3 Deluxe, the new flagship smartphone with advanced camera technology, ZenFone 3, a feature-packed smartphone with premium design; and ZenFone 3 Ultra, an incredibly powerful smartphone with a 6.8-inch Full HD display. 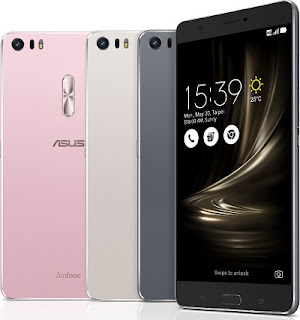 ZenFone 3 Deluxe features a 5.7-inch Full HD (1920 by 1080) Super AMOLED display with a gamut of over 100% NTSC color space for rich, vibrant colors, even in harsh, outdoor lighting. An ultra-thin bezel gives ZenFone 3 Deluxe a 79% screen-to-body ratio for a maximized display in a compact package. Inside, ZenFone 3 Deluxe has a powerful Qualcomm Snapdragon 820 Series processor, Adreno 530 GPU, and integrated X12 LTE modem, as well as up to 6GB RAM to deliver the best performance and fast connectivity for demanding apps, games, and media. ZenFone 3 features a gorgeous 5.5-inch Full HD (1920 by 1080) Super IPS+ display with up to 500cd/m2 brightness. With a narrow bezel, ZenFone 3 provides a 77.3% screen-to-body ratio for a maximized viewing area in a slim and compact body. The front and rear of the phone are encased with scratch-resistant 2.5D Corning Gorilla Glass that gently curves to make the edge of the phone completely smooth. ZenFone 3 is the first smartphone worldwide to be powered by the new Qualcomm Snapdragon 625 octa‑core processor - the first Snapdragon 600 Series processor with 14nm FinFET process technology, an integrated X9 LTE modem, and 802.11ac MU-MIMO Wi-Fi connectivity - PC-grade graphics and up to 4GB RAM. ZenFone 3 has a built-in fingerprint sensor that's perfectly positioned on the rear of the phone to sit underneath the user's finger and unlocks the phone in just a fraction of a second. ZenFone 3 Ultra is a smartphone designed for multimedia lovers, featuring a 6.8-inch Full HD (1920 by 1080) display with a 95% NTSC color gamut for rich, vibrant images even outdoors in harsh lighting. It is the world's first smartphone to have ASUS-exclusive Tru2Life+ Video technology, which harnesses a high-end 4K UHD TV-grade image processor to optimize every pixel in each frame before it is displayed, resulting in superior contrast and clarity. ZenFone 3 Ultra also excels at audio with its two new powerful five-magnet stereo speakers and a NXP smart amplifier that provides clear, defined sound and protects the speakers from damage. When listening over certified headphones, users can enjoy Hi-Res Audio (HRA) that provides up to four-times-better sound quality than CDs and the world's first smartphone with virtual 7.1-channel surround sound with DTS Headphone:X. Like ZenFone 3 Deluxe, ZenFone 3 Ultra has an incredibly slim and elegant full-metal unibody chassis - the world's first to have no antenna lines. An ultra slim bezel gives ZenFone 3 Ultra a 79% screen-to-body ratio, maximizing the viewing area while minimizing its overall size and weight. ZenFone 3 Ultra is equipped with the same high-resolution 23MP camera with ASUS TriTech autofocus system as ZenFone 3 Deluxe. 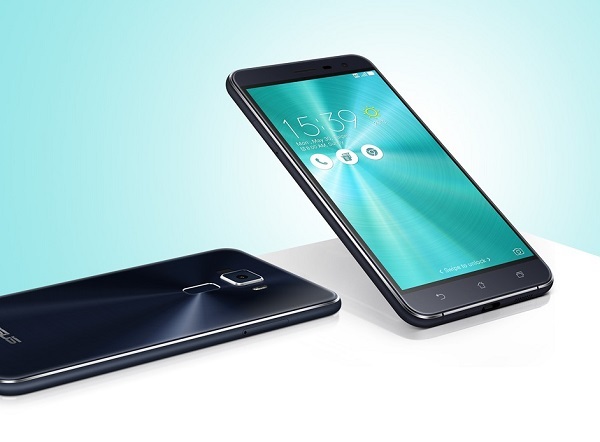 Powered by the Qualcomm Snapdragon 652 octa-core processor, Adreno 510 graphics, and up to 4GB of RAM. A built-in fingerprint sensor is perfectly positioned on the front of the phone beneath the user's finger and unlocks the phone in just a fraction of a second.